In the wake of Donald Trump’s ascendency to the country’s highest office, many Americans have expressed an impulse to seek refuge abroad. Somewhat fatalistically, airline companies are capitalizing on the scourge of anxiety that currently plagues the American mindset, and are offering enticing deals for those looking to get the hell out of dodge. 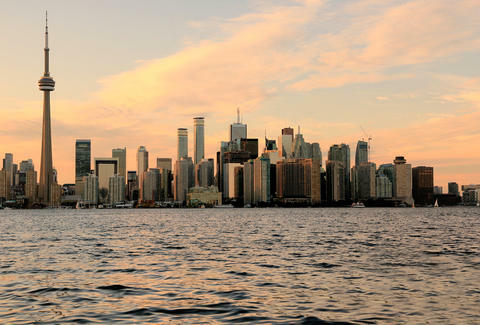 In fact, some airlines are already wooing demoralized Americans to Canada: Budget airline Spirit is offering 75% off on flights to Toronto and Montreal, both of which are just a quick jaunt from upstate New York. Canada has become synonymous with refuge, judging that the country’s immigration website has been overwhelmed with traffic, which forced it to repeatedly crash and hiccup throughout Wednesday. This is no anomaly, as travel site cheapflights.com claimed that searches for one-way flights to Canada had spiked at 133% of normal levels as of Wednesday, according to Mashable. Other travel companies are capitalizing on America’s electoral shock with a similar bent. Booking.com is exhorting people to “detox from the election” by using its website in an effort to court Americas who “need a break from politics.” (Note: politics aren't going anywhere). In a weirder turn of post-election travel news, flights to Mexico are extraordinarily cheap right now. One-way flights from New York's LaGuardia airport to Cancun start at $143, and Aeromexico is offering fall deals -- not directly marketed as a post-election cure all -- which see round-trip flights from Boston to Cancun cost as little as $312. While a vacation might be a worthwhile distraction in an inarguably dark time, emigrating to Canada simply because you want to might be a harder task than you think. For prospective immigrants, Canada favors students in higher education and those with skills amenable to jobs outlined in the North American Free Trade Agreement (NAFTA). So book a trip, by all means, but you’ll probably find yourself back in the United States eventually, as opposed to creating a permanent life abroad.